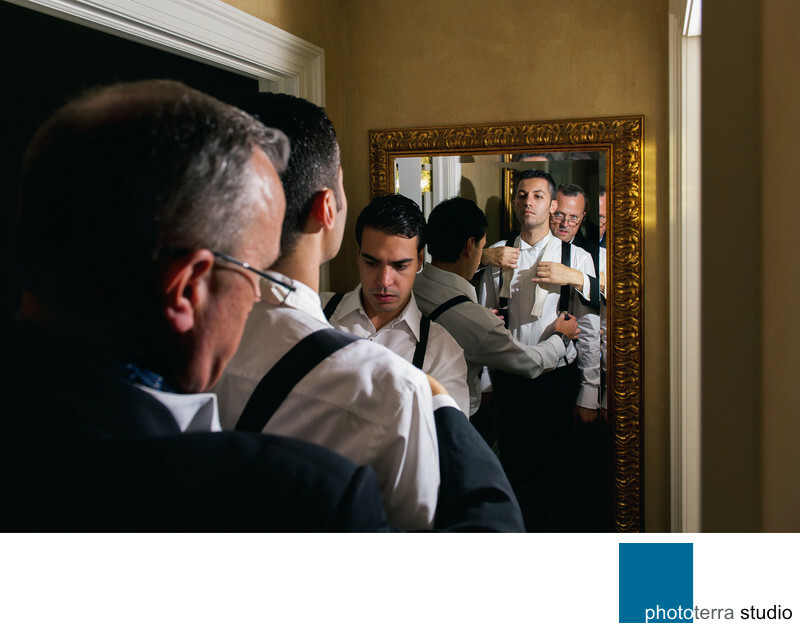 Photographing around a mirror could lead to some interesting preparation shots as it did for these men. The mirror reflects the subjects lining them up in a row of six! The seventh man in the scene is photographer, Michael Greenberg. Michael used an off-camera flash on camera-right which fired from the doorway to illuminate the subjects. This creates some side lighting for a more creative shot. Mirrors are great if you want to experiment, they also help with smaller spaces.